Pre-event planning Secure ID and card provider Datacard's distributors' conference is an annual event where partners from across Europe, the Middle East and Africa gather to meet senior members of the company and industry experts. The event is hosted in different countries each year, and for last year's event, the UK branch of Datacard worked together with Chichester-based agency Eyas and Croatian DMC Rina Travel & Events to organise the conference in Dubrovnik. 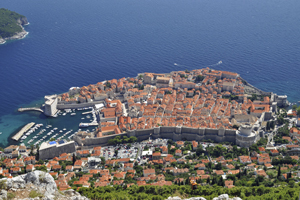 Datacard travelled to Croatia twice, once to carry out a site inspection and then again to finalise the programme. "We reviewed a number of criteria, including interest level in the location, logistics, access, cost and security," says Datacard's Jim Runcie, who is group regional vice-president for Europe, Middle East, India and Africa. Objectives Datacard wanted a conference that combined business elements with cultural events to both educate employees and encourage team-building skills, at a venue that offered a temperate climate. Some 100 employees and 30 of their spouses attended, so the venue had to offer a range of incentives and activities for the partner programme while the conference was taking place. Challenges Although the venue was chosen more than a year in advance of the event, employees from the UK branch of Datacard had to carry out an unscheduled second site inspection in May 2010, just four months before the actual date, owing to changes in the company's structure that affected the programme. The UK office needed to ensure that the chosen hotel was able to accommodate the changes. Another challenge was ensuring that all delegates were able to attend the event as during the planning phase Datacard UK uncovered problems concerning access to visas for Middle Eastern and African nationals. Solutions Datacard chose Dubrovnik and the five-star Rixos Libertos Hotel as it felt that the climate, the hotel's conference facilities and its location with sea views provided the necessary balance for the conference and partner programme. A day of leisure and sports was organised as part of the event, where employees travelled in a Karaka - a traditional wooden ship - to the nature reserve of Lokrum. Dinners were also organised with special features in mind. A gala dinner was held one evening at the Revelin Fortress, a 16th-century building located just outside the city walls. Client verdict The venue and the weather met the client's objectives, with many of the company's employees staying on in Dubrovnik for a holiday after the event. "The event went exceptionally well - the weather was fantastic, as was the quality of each and every event," says Runcie. Post-event analysis According to Runcie, the event had a very positive impact on both Datacard's internal staff and its partners. "We have seen a visible increase in activity levels and expect this to result in more sales," he adds.